Industry Day | WSDM 2016. San Francisco, USA. Feb 22-25, 2016. In its ninth year in 2016, WSDM will feature a new VC and Industry day focused on the interaction of the search and data mining communities with the VC and Industry communities. A series of invited talks by prominent speakers as Ron Conway (SVAngel, Founder and Co-managing Partner) and Qi Lu (Microsoft, EVP) will be mixed with panels on the topics ranging from the role of the data science in startups to the sharing economy. The panels will feature top Data Scientists from companies such as Cloudera, AirBnb, Uber, Lyft, and others. The lunch break will feature a company expo where 20+ companies will present their work, giving the WSDM attendants a chance to see data science and search applications in practice. 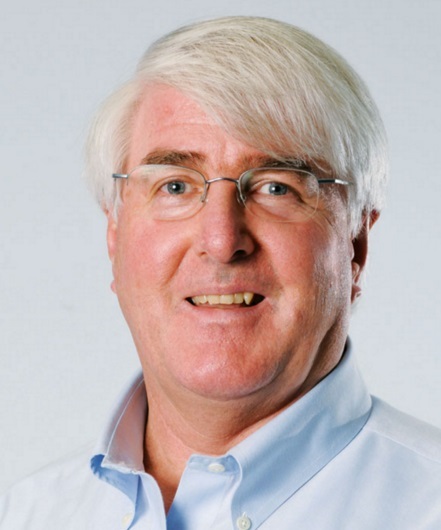 Bio: Ron Conway is a founder of SV Angel. Ron has been an active angel investor since the mid 90’s. He was the Founder and Managing Partner of the Angel Investors LP funds (1998-2005). He was included in 2010’s Vanity Fair 100 most influential people in the Information Age. He was awarded Best Angel at The 2009 TechCrunch Crunchies Awards. He was named #13 in Forbes Magazine Midas list of top “deal-makers” in 2011. Abstract: The IT industry is rapidly transforming into a mobile & cloud era. The difference from the previous eras of the Web/Internet and PC/Client-Server is profound and far reaching. First, ubiquitous mobile and wearable devices are no longer just tools but becoming extension of our being and a way of our life. Second, cloud orchestrated digital services are systematically embedding into every industry segments, infusing intelligence, elevating value creation, and re-writing rules of fundamental fabric of the industries and society overall. The undercurrent of such massive transformation is driven by a set of tidal waves, creating a new generation of digital eco-system with a much more compelling experience architecture capable of unleashing the full potential of mobile & cloud, and giving birth to a new generation of powerful digital platforms. Combined, they will rapidly digitize the physical world and all human activities, ushering in an emerging digital society, opening up opportunities for rapid and groundbreaking technology advancement across many dimensions, for all industrial and academic organizations around the globe. At Microsoft, we aspire to change the world again by creating a compelling future of digital work & life for anyone to achieve more; and we look forward to partnering with you all together. 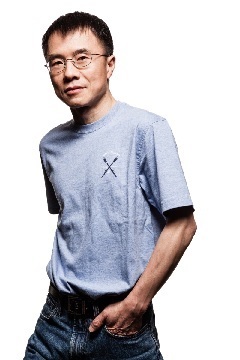 Bio: As executive vice president of Microsoft’s Applications and Services Group, Dr. Qi Lu leads Microsoft’s business across productivity, communications, education, search and other information services. 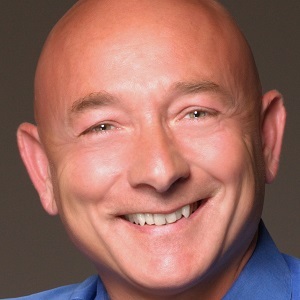 He sets the vision, strategy and overall direction of the Applications and Services Group, and is responsible for all of the research and development teams across Microsoft Office, Office 365, SharePoint, Exchange, Yammer, Lync, Skype, Bing, Bing Apps, MSN and the Advertising platforms and business group. The Apps and Services group will empower people and organizations around the world to achieve more with compelling and delightful experiences. Abstract: Outbrain serves personalized content recommendations based on an evolving per-user profile. With a user base of over half a billion monthly unique users and many hundreds of thousands page views a minute, the system supporting the compilation and serving of the user profiles entails many challenges. This talk provides an overview of Outbrain's user profile infrastructure and presents some of the design decisions we took along the way. It will also offer a glimpse into Outbrain's approach for offline evaluation of profile aggregation functions. Bio: Ronny Lempel joined Outbrain in May 2014 as VP of Outbrain's Recommendations Group, where he oversees the computation and delivery of the company's organic and paid recommendations, as well as the auction mechanisms that run in the paid recommendations' marketplace. 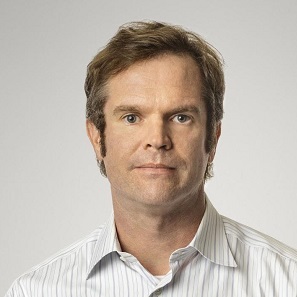 Prior to joining Outbrain, Ronny spent 6.5 years as a Senior Director at Yahoo Labs. Ronny joined Yahoo in October 2007 to open and establish its Research Lab in Haifa, Israel. During his tenure at Yahoo, Ronny led R&D activities in diverse areas, including Web Search, Web Page Optimization, Recommender Systems and Ad Targeting. In January 2013 Ronny was appointed Yahoo Labs’ Chief Data Scientist in addition to his managerial duties. Prior to joining Yahoo!, Ronny spent 4.5 years at IBM's Haifa Research Lab with the Information Retrieval Group, where his duties included research and development in the area of enterprise search systems. During his tenure at IBM, Ronny managed the Information Retrieval Group for two years. Ronny received his PhD, which focused on search engine technology, from the Faculty of Computer Science at Technion, Israel Institute of Technology in early 2003. During his PhD studies, Ronny spent two summer internships at the AltaVista search engine. Ronny has authored over 40 research papers in leading conferences and journals, and holds 15 granted US patents. 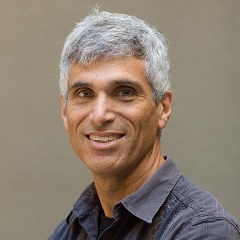 He regularly serves on program and organization committees of Web-focused conferences, and has taught advanced courses on Search Engine Technologies and Big Data Technologies at Technion. Abstract: In the rather large and unwieldy landscape of data science and big data, we will present not only the areas of potential for long standing, significant businesses but also the types of businesses that are not as attractive for venture funding. We will also show how technical insights in data science found in academic research can go from a university lab to a business garnering over $70M in financing using the case study of Ayasdi. 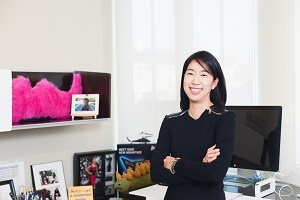 Bio: Ann Miura-Ko has been called "the most powerful woman in startups" by Forbes and is a lecturer in entrepreneurship at Stanford. The child of a rocket scientist at NASA, Ann is a Palo Alto native and has been steeped in technology startups from when she was a teenager. Prior to co-founding FLOODGATE, she worked at Charles River Ventures and McKinsey and Company. T. M. Ravi is Managing Director and Co-founder of The Hive - a studio to co-create and launch data-driven companies. The Hive focuses on data-driven applications and use cases for enterprise, IoT and online market segments, across a number of vertical industries and horizontal domains.Ravi has a successful track record as a serial entrepreneur and operating executive. Ravi was Chief Marketing Officer for Iron Mountain, a provider of information management services. Ravi joined Iron Mountain through the acquisition of Mimosa Systems, the leader in enterprise content archiving, where he was founder and Chief Executive Officer. Ravi earned a MS and PhD in Computer Science from UCLA and a Bachelors of Technology in Electrical Engineering from Indian Institute of Technology (IIT), Kanpur, India. 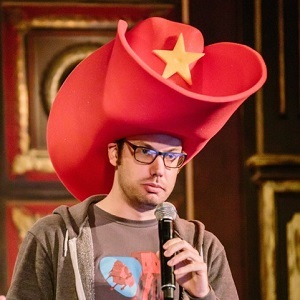 Josh Wills is the head of data engineering at Slack. 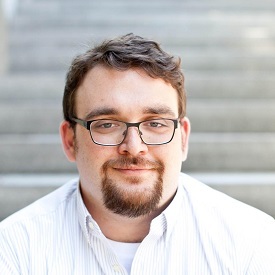 Prior to Slack, he built and led data science teams at Cloudera and Google. He is the founder of the Apache Crunch project, co-authored an O'Reilly book on advanced analytics with Apache Spark, and wrote a popular tweet about data scientists. This is the only hat he owns. As CTO, David is responsible for ensuring that Altiscale Data Cloud customers experience a robust, secure, and high-performing Big Data cloud service. Prior to Altiscale, David was at Yahoo!, where he served as Chief Architect. At Yahoo! 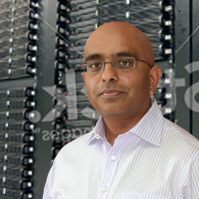 he led teams building consumer advertising and media systems with Apache Hadoop at their core. Over his career David has also built voice-search products for consumers, mobile applications for enterprises, network management systems, project management software, large-scale multiprocessor architectures, a tablet computer, and several other information appliances. David earned a BS in mathematics from Brown University and a PhD in electrical engineering and computer science from MIT. 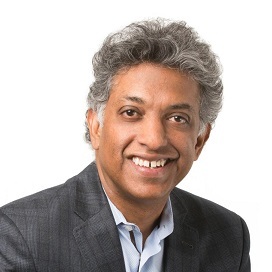 Ashok N. Srivastava, Ph.D. is the Chief Data Scientist at Verizon. He leads a new research and development center in Palo Alto focusing on building revenue generating products and services powered by big data and analytics. He is a Consulting Professor at Stanford in the Electrical Engineering Department and is the Editor-in-Chief of the AIAA Journal of Aerospace Information Systems. Ashok is a Fellow of the IEEE, the American Association for the Advancement of Science (AAAS), and the American Institute of Aeronautics and Astronautics (AIAA). Founder & CEO of Maana, organizing the world’s industrial data for millions of people who manage, operate and maintain the assets human civilization runs on. Invested by General Electric Ventures, Intel Capital, Chevron Technology Ventures, ConocoPhillips Technology Ventures and Frost Data Capital. Babur served as the President of DataCert, the world’s largest SaaS legal billing provider (acquired by Wolters Kluwer WLSNC:NA) and the Founder & CEO of Superonline, the largest Internet services provider in Turkey (acquired by Turkcell NYSE:TKC). He is the founder of Turkish Spark a non-profit ambition helping immigrant engineers to become American entrepreneurs. Babur has MBA from Rice University and Computer Science BA from the University of Texas at Austin. 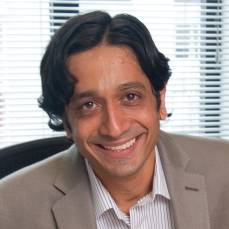 Professor Sundararajan's research program studies how digital technologies transform business and society. His current scholarly research focuses on peer-to-peer markets, the sharing economy, digital trust, social media and brand, digital labor, new institutions, regulation, social networks and online privacy. He has published over 50 scientific papers in peer-reviewed academic journals and conferences, and has given more than 200 invited talks at industry, government and academic forums internationally. His research has been recognized by six Best Paper awards, two Google Faculty awards, and a variety of other grants. He has served on numerous editorial boards for scholarly journals. He has provided expert input about the digital economy as part of Congressional testimony and to a variety of city, state and federal government agencies, including the Presidential Council of Advisers on Science and Technology, the National Economic Council, the Federal Reserve Bank, the White House, and the Federal Trade Commission. Kevin Novak is Uber's Head of Data Science Platform, currently leading Uber's data science efforts in machine learning and experimentation research, data modeling, and anomaly detection. Since joining Uber in July 2011, Kevin's contributed to Uber's engineering and scientific work as an engineer, scientist, and leader, including being responsible for the invention and implementation of Uber's dynamic pricing algorithms, supervising development and theory behind the UberPOOL and uberEATS products, and building Uber's embedded data science organization from a team of 1 to a team of 50+. Before Uber, Kevin earned his graduate degree in physics from Michigan State where his academic work involved nuclear physics theory and the statistical verification of heavy ion collision models. 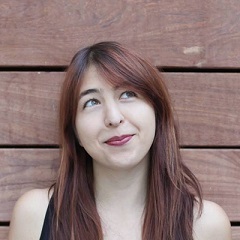 Elena Grewal is a Data Science Manager at Airbnb. She joined Airbnb three years ago and has seen how data science has helped drive the growth of the company to over 2000 employees, with millions of hosts and guests staying with each other around the world. Her team partners with the product team, using experimentation and exploratory analysis to improve the site, and building innovative data products such as pricing suggestions and search ranking improvements. Elena has BA in Ethics, Politics, and Economics from Yale University, an MA in Economics, and a PhD in Education from Stanford University. Chris Pouliot is the VP of Data Science at Lyft. During his first two years at Lyft he scaled the team from 2 data scientists to 15+. The team specializes in combining big data and math and statistics to create algorithms that improve the user experience for both passengers and drivers. Examples of this include dispatch, ETA, Prime-Time pricing, Lyft Line matching and pricing, fraud prevention, and marketing optimization. Previous to Lyft, Chris Pouliot was a real life rocket scientist, who spun astronauts until they were motion sick, split atoms to make an aircraft carrier go fast, provided insightful analysis that led to Google to change their top ad color, and helped Netflix determine what movies and TV shows to buy, and how much they should pay. He helped advise many Cowboy Ventures portfolio companies on data science and data infrastructure. He has a BS/MS in Aeronautics and Astronautics from MIT, and a MS in both Management Science and Engineering and Statistics from Stanford. E8 Security - How long would it take you to detect a threat if an attacker found a backdoor into your environment? How can you find threats when you’re unaware they even exist? E8 Security is taking a distinct approach to this challenge with machine-learning technology inspired by mathematics and artificial intelligence. The Hive - The Hive is a studio to create and launch startups that use data to disrupt theirmarkets. We believe that data-driven applications that leverage the innovation in data science and data infrastructure will create significant new business opportunities in the near term. Perspica - Create self-healing data centers by using advanced analytics. Coinalytics - Coinalytics provides real-time intelligence for decentralized blockchain platforms. Coinalytics’ unique approach applies advanced machine learning and state-of-the-art distributed systems to cryptographic platforms, enabling enterprises to derive real-time business intelligence and risk assessment from blockchains and decentralized applications. Unbxd - We have built a personalized product discovery solution on the cloud which powers site-search, navigation & recommendation widgets for more than 1200 e-commerce sites. We also provide a merchandizing & reporting system through which you can measure and take actions to showcase targeted products. Teleport - We help knowledge workers find the right cities given their personal preferences and goals: reducing cost to extend their startup's runway, finding like ­minded people to build with, being closer to clients, landing in a tax and regulatory environment with least friction, seeking for best healthcare or education for their families and so forth. App Annie - App Annie provides mobile app analytics and app market data to the app ecosystem. Our easy-to-use platform helps our customers run every stage of their app business by providing accurate and timely analytics and estimation of app downloads, revenue, ranking and usage patterns. Sift Science - Sift Science applies large-scale machine learning to automate fraud prevention for thousands of websites and mobile applications across the globe. Helix - Genomics startup with A big idea with a simple goal: empowering consumers to discover insights into their own genomes through an ecosystem of high quality content partners. We believe that individuals deserve a genetic journey that is safe, affordable, and powerful. That’s why we are building a world-class platform that protects individuals while also lowering the typical barriers to application development. Airbnb - Rent unique places to stay from local hosts in 190+ countries. Rakuten/Deep Forest - Innovative mobile advertising that excels in reach and accuracy. Big Data Corp - We automate the data capture and structuring process to make it easy for any company to leverage the power of external Big Data on their day-to-day business. Ampool - Building next generation data infrastructure. Neva - Neva is the service intelligence platform for the modern connected enterprise, which delivers advanced predicate reasoning over a self-curated corpus of knowledge through a prescriptive intelligence feed. Neva brings proven efficiencies in the enterprise’s service management workflows around incident & problem management for their datacenter, IT and industrial assets. Quora - Share and grow the world's knowledge.